State Sen. Mark Dion of Portland on Thursday became the latest Democrat to launch a campaign for governor. 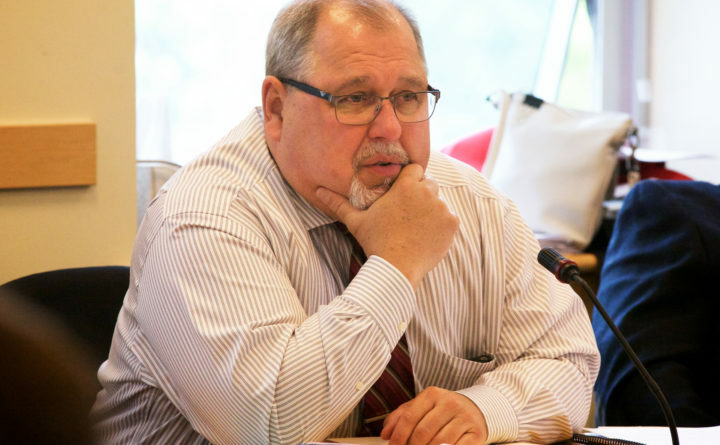 Dion, who is a former three-term sheriff in Cumberland County, was first elected to the Legislature in 2010, when he won a Portland-area seat in the Maine House of Representatives. He ran for Senate and won his Portland-area seat in 2016. Dion has been a member of the Legislature’s Criminal Justice and Public Safety Committee and now co-chairs the legislative committee that is working on implementing a regulatory structure for recreational marijuana, which was legalized by voters last year. According to the Ethics Commission’s website, Dion is running as a privately financed Democrat. Since he left law enforcement, Dion has earned a law degree from the University of Maine School of Law and is a practicing attorney. Dion joins a crowded field. Ten Democrats have registered for gubernatorial runs, setting up what could be a wild primary election for June 2018. Dion aims to be the first Democrat to win the Blaine House since John Baldacci, who was elected in 2002 and re-elected in 2006. Republican Gov. Paul LePage won a five-way race for governor in 2010, and was re-elected in 2014. Dion’s tenure in the Legislature coincides with LePage’s as governor. Dion also played a prominent role in the 2016 campaign to legalize the recreational use of marijuana in Maine.